A major complaint about air travel is onboard temperatures. If you have ever found yourself freezing on an airplane—or peeling of the layers—you know that cabin temperature, especially on long-haul flights, can really start or end a journey on the wrong foot. This week, flight attendants have launched an effort to fix the problem. 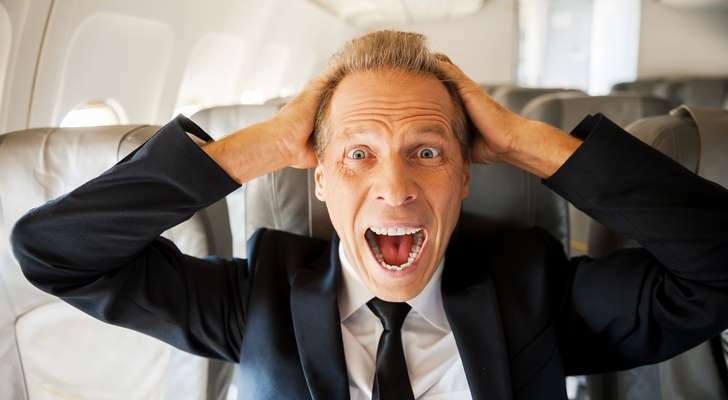 According to a report in the Washington Post, the Association of Flight Attendants-CWA has a plan to start combatting uncomfortable in-flight climes. After filing a petition with the U.S. Department of Transportation (DOT) last month asking for regulatory standards to monitor temperatures on aircraft, flight attendants are asking passengers to download an app 2Hot2Cold that reports and monitors cabin temperatures as well as collects information on the airline, aircraft type, flight number, date of flight and other more. [post_ads]This is part of a campaign to convince the DOT to institute standards for cabin temperatures, an issue that has become more prominent as more and more people are packed onto airplanes and an increasing number of people rely on air transport in the U.S. Heightened or extremely low temperatures can cause serious health issues for passengers—not just discomfort. Some cases have garnered nationwide attention but many more have been documented by flight attendants and airline crew and some of these are detailed in the filing with the DOT. Flight attendants referenced an occurrence in Denver in June 2017 when an infant “sweltered” in an “oven with wings” on the tarmac. The infant was removed from the plane by ambulance. Other incidents were reported in Las Vegas and Phoenix when aircraft waited on the tarmac and reached temperatures that made passengers ill.
Airlines for America (A4A), a group that lobbies for the airline industry fought back against the idea of regulation, issuing a written statement to the Washington Post. And according to the report, it’s unclear how valuable the information garnered from the app will be. It largely relies on the honor system regarding actual temperatures and has some major flaws, according to the author of the article who tested whether he could report temperatures in excess of 200 degrees Fahrenheit when he wasn’t even onboard an aircraft—it seems he could. For their part, flight attendants will be monitoring aircraft temperatures on our behalf with 60,000 keychain thermometers distributed as part of the regulation effort. While the app may not be a cure-all for flyers, the efforts of flight attendants is a noble one and something that all passengers can appreciate. “Extreme heat and cold on aircraft is a health and safety issue that poses serious risks for passengers and flight crew members alike. Furthermore, these conditions have caused flights to be diverted, passengers deplaned and planes switched on the tarmac, impacting and often disrupting the entire passenger aviation industry and its workforce. TTD is proud to stand with the Association of Flight Attendants-CWA (AFA), the Transport Workers Union (TWU) and the flight attendant community in advocating for common sense regulations on aircraft temperatures,” said Regan.